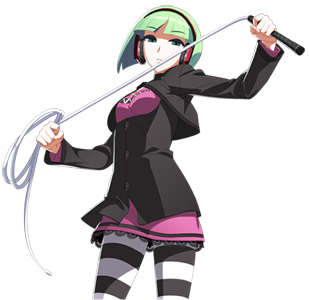 Phonon is a playable character in the 2D fighting game Under Night In-Birth and was part of the update Under Night In-Birth EXE: Latest that was released in summer 2015. 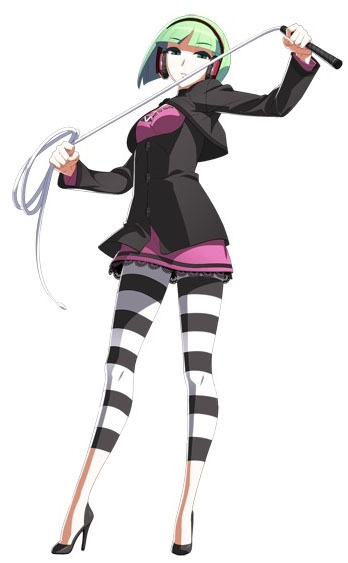 Phonon is fighting with a weapon called Muniel which looks like a white snake usually but can change into a Whip-like weapon for Phonon. “She wishes. For the paranormal ability from the deepest spirit of hers. Along with the white follower. False shell at present. The wish will be fulfilled when the time comes right here. The sword speaks. The path to the bright future. She fails. The sword exposes.